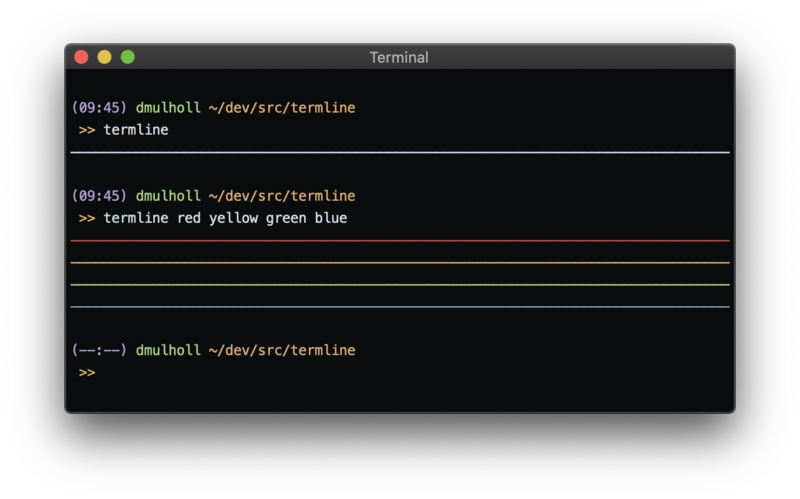 Termline is a simple Bash script for drawing coloured lines across the width of a terminal. You can find the source file on Github. Print a coloured line across the width of the terminal. -h, --help      Print this help text and exit.